Dunfermline Athletic face Raith Rovers in William Hill Scottish Cup action on Saturday as `Cup Fever` hits Fife - with over 5000 fans expected at Stark`s Park on Saturday. 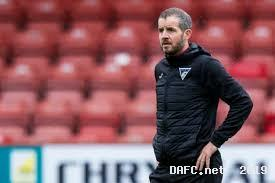 This has been Stevie Crawford and Greg Shields` first full week in charge of the Pars and they`ll be looking to impress the large away support with a performance - but most importantly a result - which signifies the way ahead for the club over the coming months. A disappointing defeat to Dundee United last weekend saw Dunfermline go 6 points off the promotion play-off spots, while only being 8 clear of bottom club Partick Thistle. A Nicky Clarkk header on 81 minutes would be the difference between the Tangerines and DAFC last Saturday, as Crawford got his tenure off to a losing start. Not, of course, that much criticism can be thrown the way of the new coaching staff, with both Stevie and Shields both only taking charge on Thursday. Having been unbeaten in 4 matches, it was understandable to keep the starting eleven intact from the week prior, with Ryan Williamson and Lewis Martin dropping out due to injury. Callum Smith was given game-time off the bench as Crawford showed his intent to blood the youngsters as and when he feels it appropriate. With the loss of Aidan Keena, after being recalled by Hearts, then an opporrtunity may arise for the teenager who has recently returned from a loan spell with Arbroath. The duo have also lost Malaury Martin, who has also returned to Tynecastle following a loan spell at East End Park, which leaves more gaps within the squad for youngsters to maybe get their chance. With Sean Murdoch; Louis Longridge and Andy Ryan all missing - as well as Williamson and Martin continuing to struggle with knocks - then there may be some Reserve-Teamers on the bench against the Rovers. Matty Todd would be the obvious replacement as a natural centre-midfielder, but, Paul Allan could also step in there if required. Crawford and Shields may choose to put another defensive option on the bench in Stuart Morrison while Lewis McCann and Brandon Luke provide attacking threats if they are to be named amongst the 18-man squad which travels to Kirkcaldy. The sides met in pre-season, where McCann scored the only goal of the evening for Dunfermline, as Raith ran out 2-1 winners at The Localiity Hub New Bayview, Methil. Both sides have changed managers since that challenge fixture and neither team will be overly satisfied with their league position considering the respective ambitions of both clubs in the summer of 2018. John McGlynn has taken over at Stark`s Park as the full-timers remain 13 points behind Arbroath at the top of League One. The visitors have had their injury concerns to seek across the campaign but have a near fully-fit squad for the biggest match of the season for both clubs to date. Top goal-scorer Kevin Nisbet will miss out due to injury, with the ex-Partick striker sitting on 20 goals this term. However, former Par Liam Buchanan has hit 9 goals and will likely lead the line alongside the creative and influential Lewis Vaughan, who has struck 6 times. Chris Duggan will also provide an option up front but the attacker has had injury problems all season since his switch from East Fife, with the Australian hoping to impress if given an opportunity in the derby, after fighting his way back to fitness. The loss of loan star Regan Hendry has hit the hosts hard with the Celtic youngster becoming a key figure in the middle of the park under McGlynn until his injury against Forfar earlier on this season. Kevin Silva and Kieran Wright have returned to their parent clubs but goalkeeper Dean Lyness has completed his move to Fife after leaving St Mirren and will provide good competition for Robbie Thomson - the son of former shot-stopper of both sides, Scott. With the creative spark of Daniel Armstrong potentially leaving after this game, with his contract expiring next week, it will be a big call for McGlynn whether to play the former Dunfermline loanee or if new signing Tony Dingwall deserves a shot from the beginning. The Pars will be hoping to increase that statistic come 5pm on Saturday. 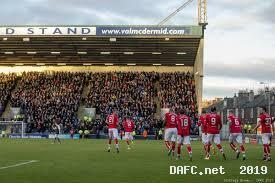 The last SFA Cup tie was at East End Park in season 1985/86, with the Pars running out 2-0 victors. While, Raith`s last victory over Dunfermline in this competition goes all the way back to 5th February 1972: the scoreline was also 2-0 that day. John McGlynn pre-match interview. © Raith TV. Dunfermline have had the better over the previous few games, winning 2, drawing once and losing on the other occasion in season 2016/17. 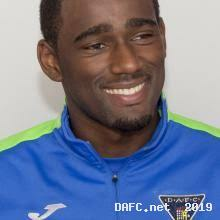 One player who would have played in the Black and White that term was Nat Wedderburn, who this summer swapped the Championship for Athletic`s near neighbours. With both clubs selling around 3,000 tickets for this fixture, it will be a bumper crowd at Stark`s Park for the most eagerly anticipated Scottish Cup match for either side in a long time.. The rivalry will be re-united; the atmosphere will be electric and the football will be tensely entertaining. It has the ingredients to be a fantastic spectacle which will hopefully see Dunfermline progress through to the Round of 16.